Getting kids into running, fitness, and exercise doesn’t have to be a daunting task. Fitness watches designed for kids can help them stay active while having fun. 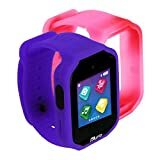 These watches tend to be durable and make it easy for parents stay up to date on their children’s activity levels. 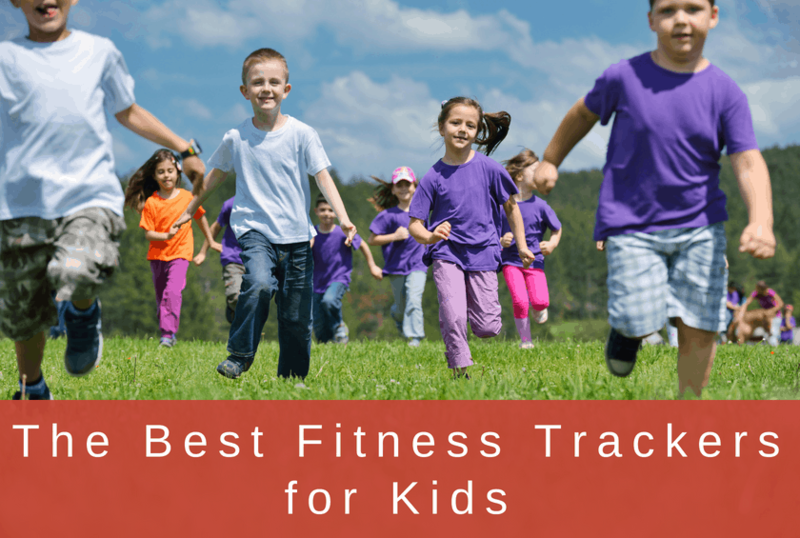 We’ll take a comprehensive view of some of the most recommended fitness trackers for kids and list the benefits of each to help you determine what’s the best fit for you and your kids. The Vivofit Jr. 2 is Garmin’s second generation in kid’s fitness trackers. It works similarly to the adult version Vivofit 4 or the Vivosport. 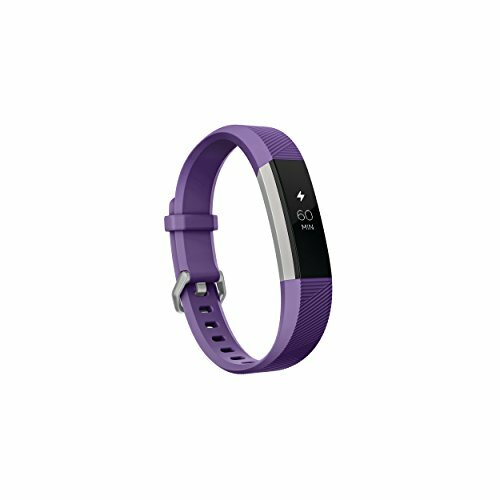 The Vivofit Jr. 2 counts steps as well as tracking active minutes (total moving time). It also monitors sleep. Unlike other kids trackers, the Vivofit Jr. 2 is branded with Marvel, Star Wars, and Disney themes. 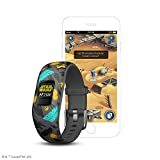 Each tracker has a unique themed band and watch face. When paired with a phone, kids can play a themed adventure app linked to a Marvel, Star Wars, or Disney theme. The vivofit jr. 2 is also waterproof. The band is made of durable rubber. It comes in two sizes: a stretchy rubber band for little kids. And a more classic band for older children. Garmin introduced fun games to reward children for hitting daily activity goals. As your child hits their target activity goal, they rewarded with a themed game and story. Badges and new watch faces are unlocked as they keep achieving their daily activity goals. With the phone app, you can track steps as a family. Enjoy some friendly competition to see who in the family can get the most steps (hint to parents: it probably won’t be you!). Parents can use the app to set and track chores. You can make up your own or use the installed chores like getting dressed in the morning or brushing teeth. Each chore completed earns your child a coin. Coins can be redeemed for rewards of your choice. The battery life will last about a year before needing to be replaced. The battery is a standard coin cell battery so there’s no need to worry about a docking platform or charging cradle that can be misplaced. Design-wise, this device is like the Fitbit Alta but with a smaller band to compensate for kid size wrists. It tracks steps, monitors active minutes, and keeps tabs on sleep levels. The battery lasts fairly long, averaging at about five days of continuous activity. To recharge, plug it into a USB port and wait about two to three hours. The Fitbit Ace is super lightweight. It’s made from a stainless-steel body with a matching clasp. The band is made with a flexible rubber material. It’s showerproof and can survive short dunks in water. The 128 x 36-pixel resolution display is the main feature of this tracker. Tapping it can change to any of the ten digital watch faces. Kids can earn achievements for completing activity goals, in which then they can share with friends and family members that are attached to your Family Account on the app. Unlike Garmin’s vivofit jr. 2, the app has two views: a parent view and a child’s view. This keeps the app secure for kids to track and use the app. But allows parents to control settings and “own” the overall account. The Leapfrog LeapBand is an activity tracker that is more game-oriented than the Fitbit Ace or vivofit jr. 2. Even though it’s cheaper than most fitness trackers, the LeapBand is a colorful and attractive tracker that keeps kids motivated to stay active. Instead of tracking steps, it gets kids moving by setting up a list of physical challenges that gain a form of currency called ‘jewels’ when completed. This currency allows them to take care of a virtual pet of their choosing that they can feed, clean, and clothe. Children have a choice between several pets such as a cat, dog, dragon, monkey, panda, penguin, robot and unicorn. Kids can earn toys for their pets by going through different activities all to keep their pet happy. Ten pre-loaded games come with the watch initially, plus another 40 that are unlocked by gaining levels in gameplay. With the “Petathlon” app, your kids can compete as their pet in mini-games. Some mini-games teach children about healthy, nutritious foods that can get them started early on eating healthy. Parents have full control over when specific modes are activated. “Move mode” is the default state which allows the watch to track motion, when your child is not interacting with its LeapBand, the screen returns to “Move Mode”. “Player mode” gives children access to their games and challenges, sounds and all. Finally, “Quiet Time Mode” banishes sound and gameplay so children can sleep or have quiet time, only showing the clock when activated. 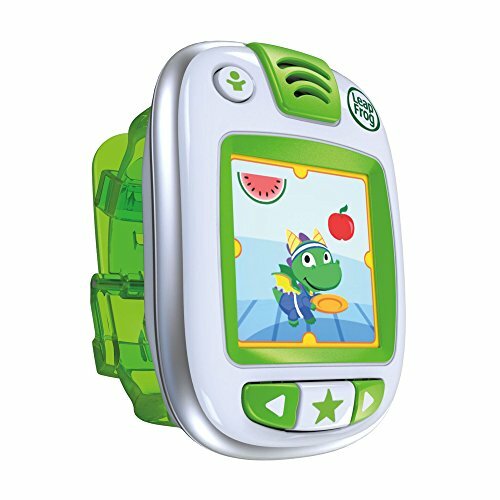 When you hook up your child’s LeapBand to your computer, there is an app with settings that allows parents to decide when your child can access the play modes based on their age level. Fuhu is the mastermind company behind these fun fitness trackers. Nabi Compete has a flexible, rubber wristband that snugly holds the tracking device in place. Unlike the other fitness trackers we’ve looked at, the Compete doesn’t have a display. Instead the tracker must sync with a phone app to view the data. On the app, kids can see how many steps they’ve taken. And this is displayed in different, fun ways. For example, they can see how far their steps take them compared to the length of the Brooklyn Bridge. Nabi also includes a calorie comparison to different foods that kids enjoy. This lets them see how many calories they’ve burned comparing it to foods like pizza and cake. This feature helps them understand the caloric density of certain foods and can encourage them to eat healthier. 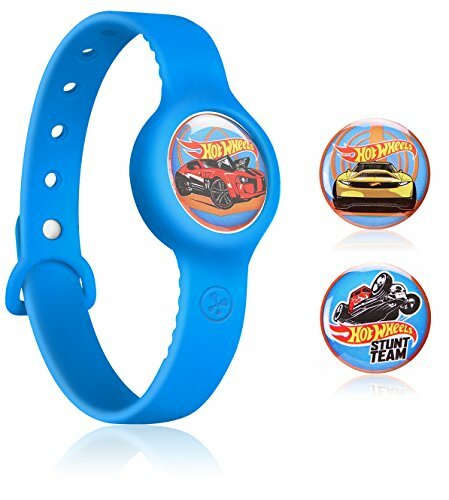 The bands and trackers come in different colors and designs, including Barbie and Hot-wheels. Two wrist bands and trackers are included with every purchase, so your child can compete with a friend or a parent on different challenges. Completing these challenges can unlock virtual rewards and pets that grow with your child as they continue using the Nabi. Unlike the other fitness trackers we’ve looked at, the Kurio Watch is as much as a kids smart watch as it is an activity tracker. The watch can take pictures and videos. They can even be customized with fun filters. Bluetooth connectivity allows parents with Android devices to message their child and exchange photos and other media. Texts and photos can also be exchanged between friends who also have the same watch. The fitness aspects are located in the Sports Challenge games. Choose from three different types of games, including a dancing game. The bands are interchangeable and can be customized to your child’s style. Each watch comes with two bands, one standard band and a color-changing wristband that changes with your child’s body temperature. Like the Kurio watch, the Vtech’s Kidizoom is more smartwatch than fitness tracker. It’s geared towards keeping your child engaged and entertained throughout the day. The interface on the watch-face is easy to use and attractive. The bands come in a broad array of different color choices. The watch also comes equipped with two cameras, one for selfies and the other so you can take pictures and video of your surroundings. Kidizoom comes with activity challenges installed. The Racing Challenge uses a stopwatch to test how fast your kid can run from one point to another. Motion-controlled games are also in this watch. They get your kids moving by triggering sound effects when they move around to keep their activities fun and engaging. There’s also a Monster Catcher game that uses augmented reality to help kids capture monsters in the real world; a great way to motivate your kids to get outside and run around. With this fitness watch, your kids won’t exclusively keep their bodies active. It’ll also exercise their logic skills with mini-logic puzzles with the Noodle Booster. 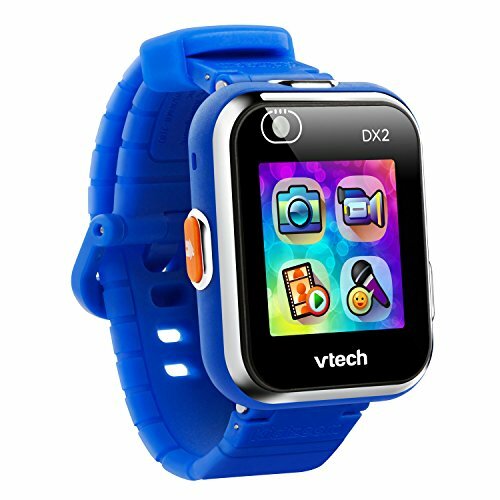 Another fun feature that Vtech provides is the ability to download more games for your child to interact with from the Learning Lodge. The vivofit jr. is Garmin’s first fitness tracker for kids. 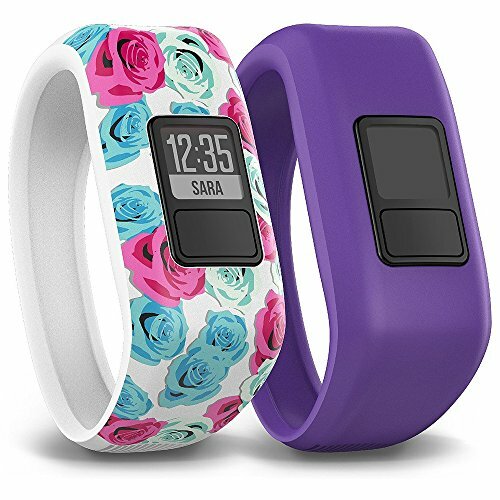 Like the vivofit jr. 2, this has an easy to wear an elastic band that secures the device in place, so it doesn’t get lost or broken. Unlike version 2, these are more generic bands, not tied in to a theme. This model keeps a simple display, using one button to access all the features of the device. Once it’s connected to the mobile app, you can customize your child’s profile and sync it with their Vivofit to display their name and progress. Garmin allows parents to create tasks and rewards that they can complete to get access to coins. These coins can purchase rewards such as getting ice cream or choosing what to have for breakfast. Their profiles can help parents keep track of their daily fitness levels and even monitor their sleep schedules, and with the Adventure Trail app, the whole family can get involved in staying active. Another great setting that parents can use for their child is to preset timers for tasks. You can set a two-minute timer for brushing their teeth or use a thirty-minute timer to clean their room. This feature helps kids stay on task while actively seeing a reward granted once the chore is completed. The vivofit jr. is a great option if you want a budget-friendly fitness tracker. It lacks the themed adventures and games of the vivofit jr. 2 but otherwise they are very similar.